This will be one of the most important days of your life. J. David Jewelry wants to help you make it the most special day ever! When looking for an engagement ring, finding a diamond, or picking out wedding bands, J. David Jewelry will help you make an informed buying decision so that you are 100% satisfied with your purchase. If you have any questions that can't be answered here, please contact us any time. 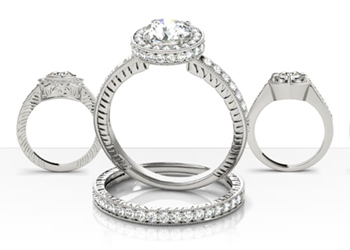 Check out our Gabriel & Co engagement ring collection.